Goodies Wastewater Supplies has established a respected dealer network to distribute our products across Australia. 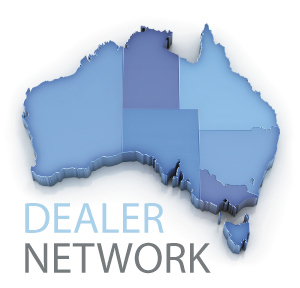 To find your local dealer contact our National Dealer Service Centre on 1300 282 181 7:00am - 5:00pm Monday - Friday AEST or complete our Dealer Locator form. Your information will be processed and an email response issued with the contact details of your local dealers. If you are enquiring from overseas please use our International Enquiry form. Online payments are not available to international dealers as we will need to quote freight based on your country and specific order. Our ordering system is only available for registered dealers. If you are an industry related business with selling channels for our products or an existing Goodies Wastewater Supplies dealer not registered on this site please register using our Australian Dealer Registration form. Registered dealers can also access a range of online and downloadable resources. Including product service manuals and sales material.